The apartment situated on the ground floor is very bright and it can accomodate a maximum of 5 people. It is made up of a kitchen well furnished (with fridge, toaster, american coffee machine, oven, cooker and all the necessary to cook), a livingroom with fireplace, a sittingroom with sofa,armchair,TV(37LCD with satellite channels)and where you can admire a wonderful view of the lake. The sleeping area consists in 2 bedrooms, 1 twin and 1 double (possibility of a 3rd bed on request and a bed for children),served by 1 bathroom(with hairdryer, washing machine, bath/shower). The apartment is provided with independing heating to payment, iron, ironing board and clothes horse. 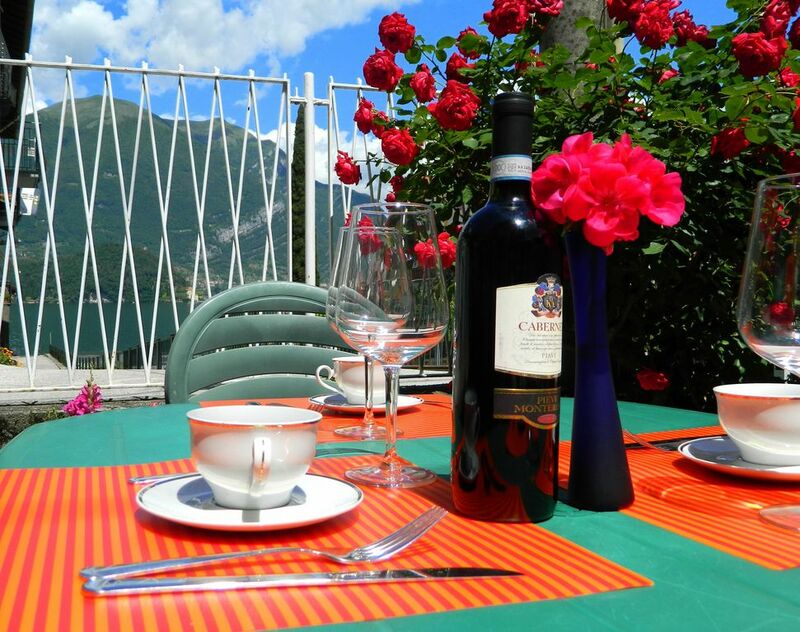 The garden is furnished with table and chairs, where you can have a breakfast of lunch enjoing the lake view. There is a private parking place just next the apartment. Nous avons aimé cet appartement calme et spacieux a 3 personnes. Situé tout près du lac et d'une supérette et avec un acces direct a Bellagio, bon point de chute! We enjoyed our stay at Casa Anto! The house is very cozy and the kitchen very well equipped, there is everything you need to cook, there are two very spacious bedrooms, the beds are comfortable. There is a bathroom with a washing machine, which was very helpful. In front of the house there is a garden where you can see the lake, it was wonderful to have breakfast in the garden. The area is very quiet with a fish restaurant one minute walk and a pizzeria 10 minutes walk, there are two markets and two bars few meters from the house and the public beach is just 50 meters in front of the garden. Laura is a really nice and helpful host, she gave us many suggestions and made us feel at home! Thank you for everything, it was a wonderful experience. Thank you so much! I was a pleasure to meet you! NON E' INCLUSO NEL PREZZO:il riscaldamento, va pagato alla fine del soggiorno in base al consumo (al costo di 1€ a Mc) e la tassa di soggiorno 1€ a notte a persona da pagare al momento del check in in contanti / IT'S NOT INCLUDED IN THE PRICE: the heating, the price depends on your consuption (1€/Mc) and the city tax 1€ per person per night to pay at the check in with cash.